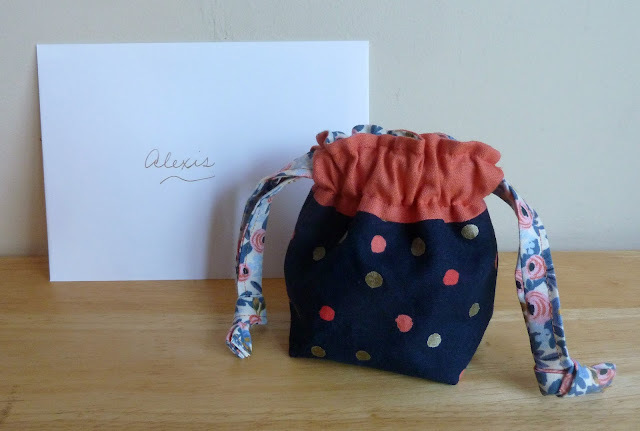 For this year's Boston MQG holiday swap I decided to think small... a stuffed Tiny Lined Drawstring bag. 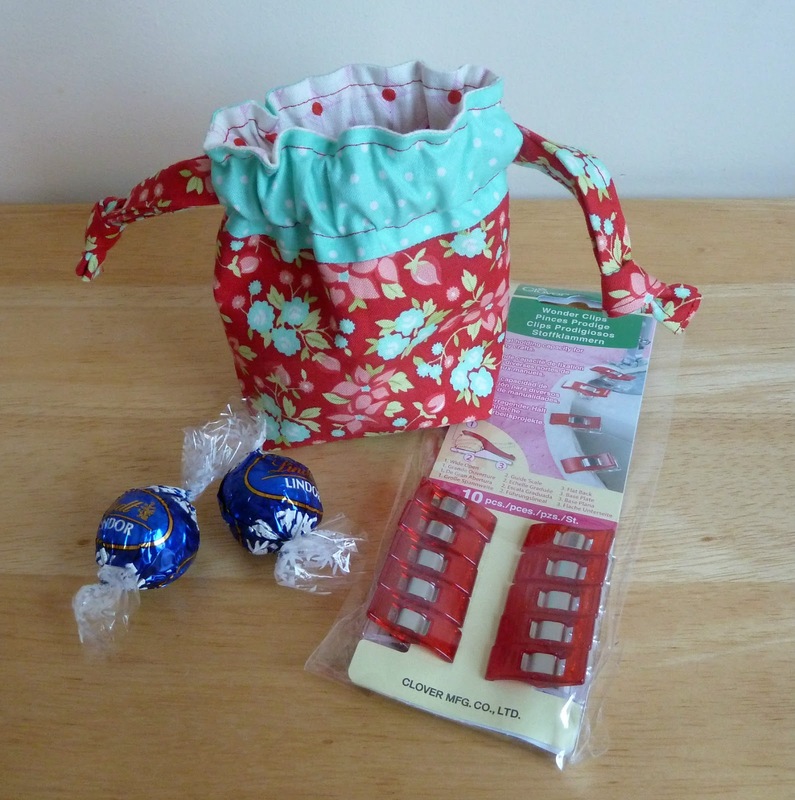 I'm always envious when my friend Taz whips out her adorable little bag full of clover clips to bind her quilts. I figured I couldn't be the only one secretly plotting how to liberate Taz's so I decided to make 1 bag for my swap gift and 1 for myself while I was at it. I'd already used In Color Order's amazing Lined Drawstring Bag tutorial to make retreat bags for my friends but in the spirit of giving (and to save my brain from quilt math) I bought the full pattern to get the measurements for the tiny version. I'm not going to lie, making something 1/2 the size is twice as fussy! A few lessons I learned... I prefer to place my turning hole on the side rather than the bottom so that it's hidden and to give the bag more structural integrity. The sweet spot to start stitching is about 1 1/2" above the bottom corner. You want it high enough not to interfere with boxing the corners but also below the drawstring portion. I also used this genius tip I learned from Elizabeth Hartman to anchor the bottom lining to the exterior. 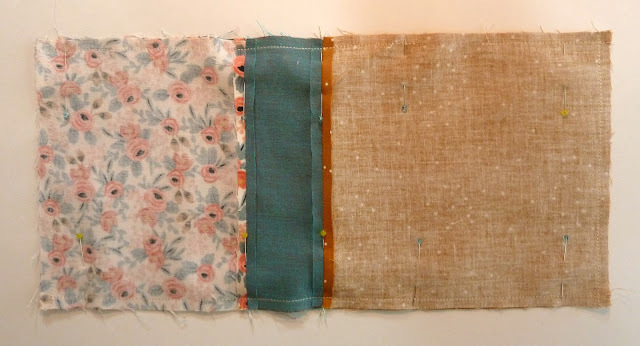 Match up the bottoms so that the sewn seams match and stitch each side together inside the seam allowance. 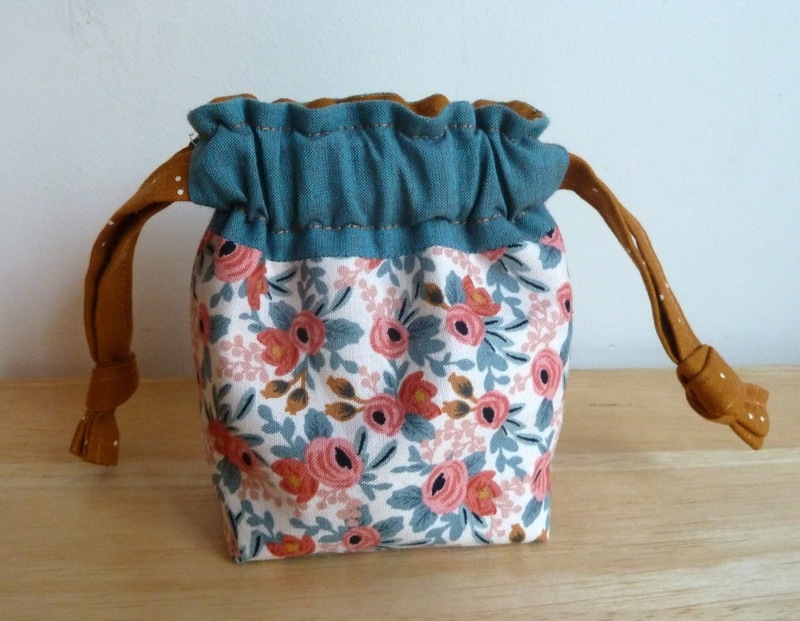 It's a bit fiddly and your bag will look at bit like a twisted infinity symbol but when you turn it the lining will stay in the bottom and it gives the bag more stability. For top stitching the drawstring channel turn the bag inside out and stitch around the edges with the excess pointing up. Rather than marking I just used my 1/4" foot to stitch around the top edge and then used the other side to stitch 1/4" above the focus fabric seam. That's the last of my "mandatory" holiday making but I'm still hoping to finish up a few little things. Have you finished your gifts yet? Feeling festive with this week's Finish it Up Friday by Crazy Mom Quilts. 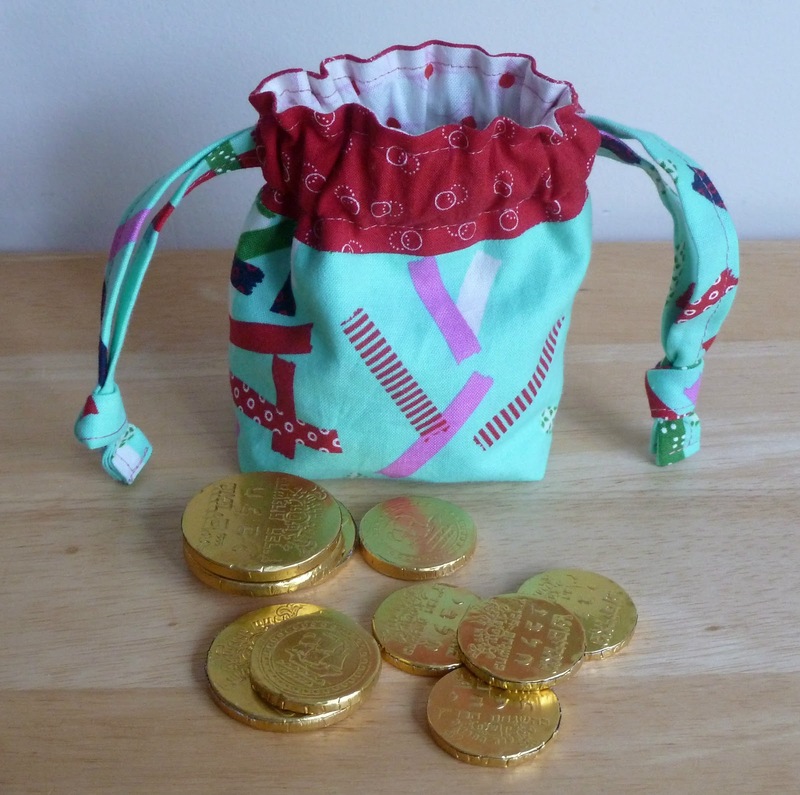 Finished bags are 4 1/2" x 3 1/4"
Pattern: Tiny Lined Drawstring Bag by In Color Order. Fabrics: Assorted scraps including: Cotton + Steel, Nicey Jane by Heather Bailey and Bonnie & Camille. Thread: Coordinating 50 wt. Aurifil threads. They are adorable indeed! I completely agree....often downsizing a pattern can be trickier! 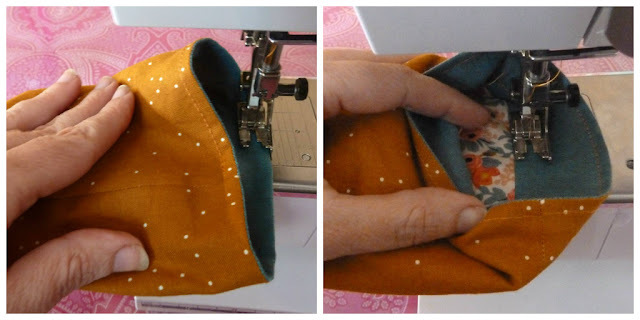 Great tips on placement of the turning opening and attaching the lining! Omg adorable! You'll have to show me the Elizabeth trick - having trouble wrapping my head around that one. So cute! 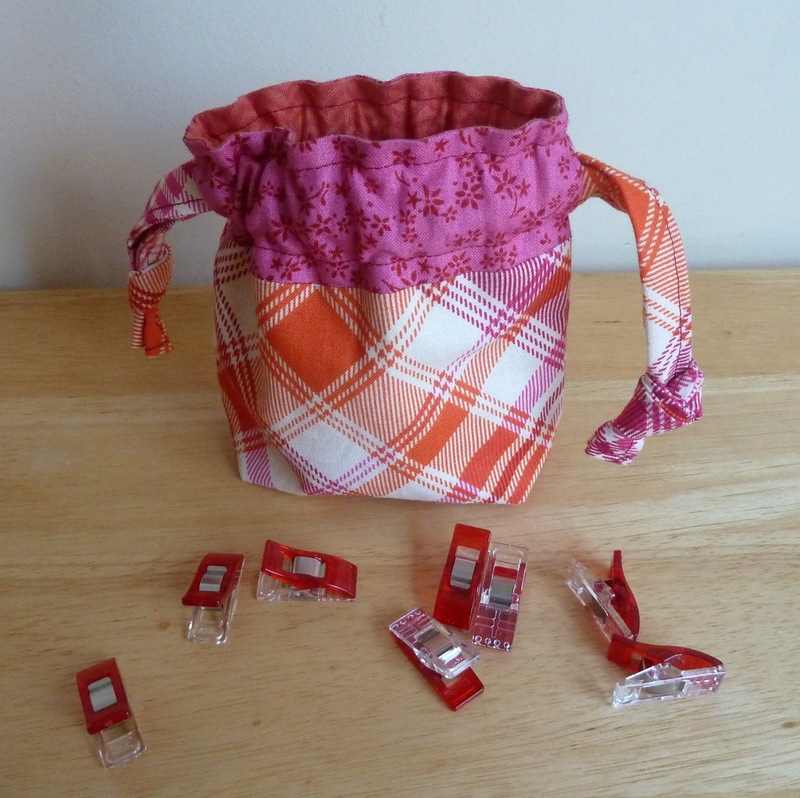 These are so cute, great fabric combinations!